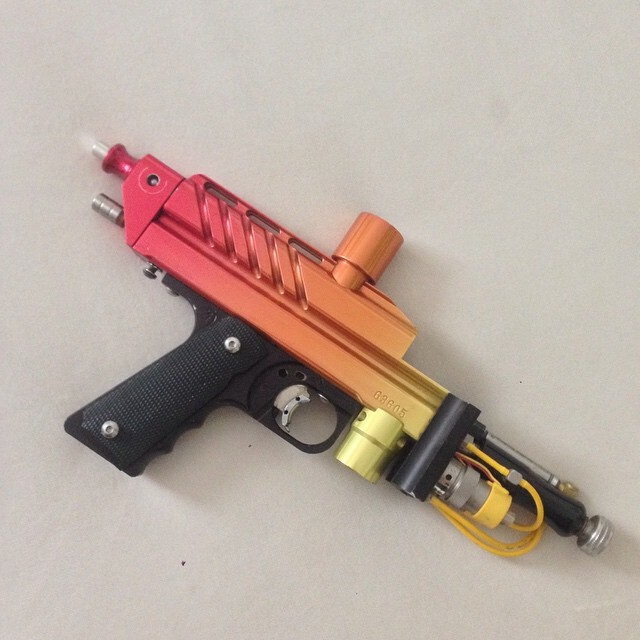 Here is a WGP STO kit with a Nitro Duck / Paintball Mania Supplies E Cocker kit on it. Nitro Duck E cocker on an STO body. These kits were introduced around 1997/98 and uses a mechanical / sear with an electro pneumatic switch. Front block rotation showing the giant solenoids.